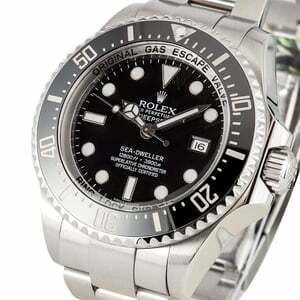 Comments: This used Rolex comes with original Rolex w/ 3-day satisfaction guarantee and one year warranty. Temporary master photo. All side views are of actual watch and magnify 10x. 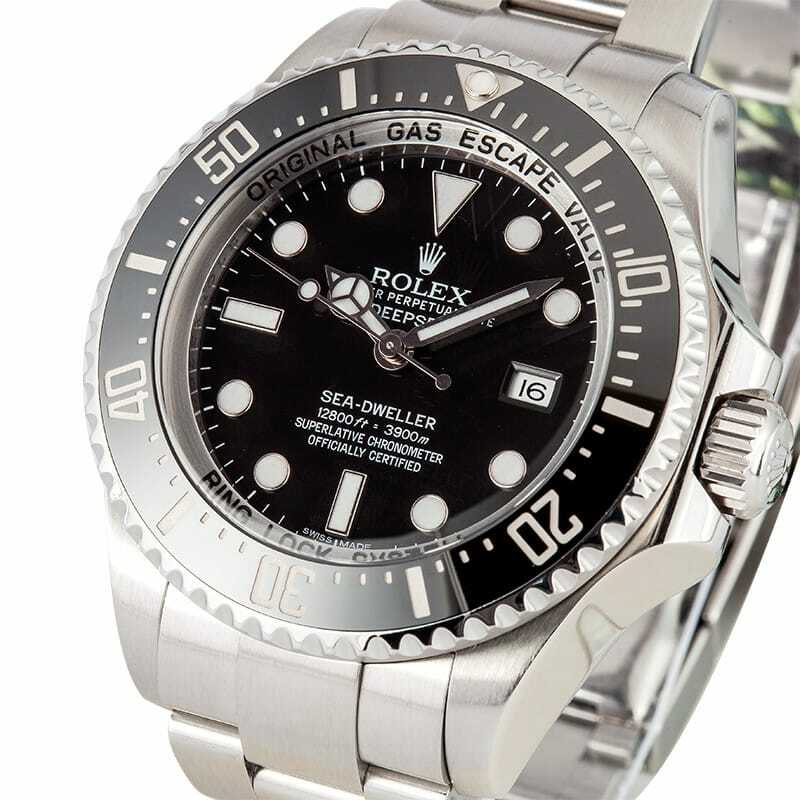 The first Rolex Deepsea was released in 2008 via ref. 116660. It brought it with increased resistance to depths of up to 12,800 feet. Many innovative features were required to achieve this incredible depth rating, including a thicker sapphire crystal, a Triplock screw-down crown with three sealed zones, and a Rink Lock System. 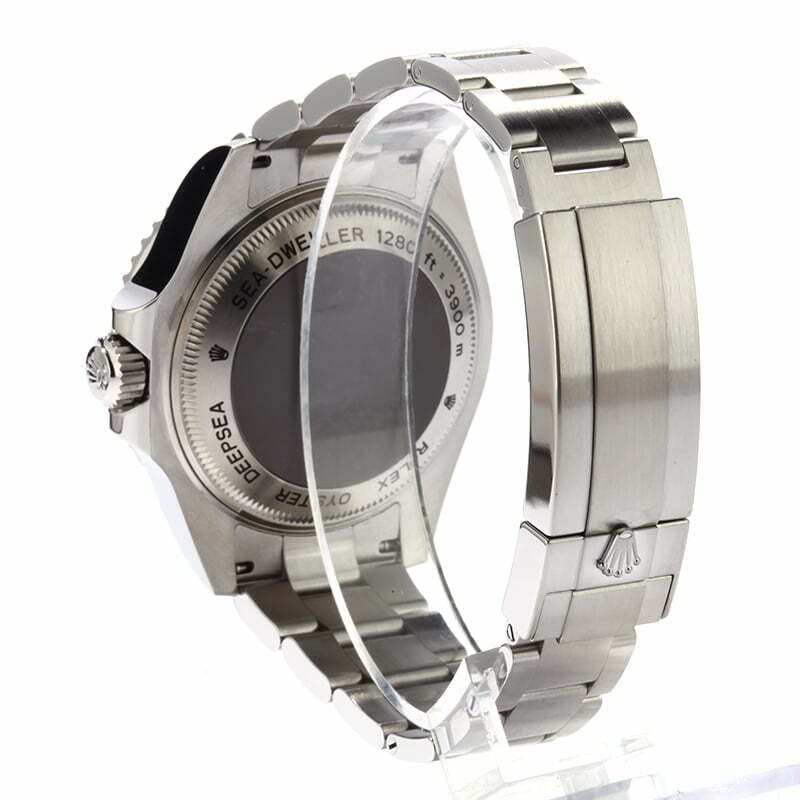 The increased depth rating requires a larger case measuring 44mm, which is balanced by an Oyster bracelet secured by an Oysterlock clasp with a Glidelock system. Additionally, a titanium case back is added to the case to maintain a lighter hold on the wrist. As a deep saturation diver, the case is also equipped with a maxi dial with larger, more visible hour markers and Mercedes hands, a unidirectional bezel, and a Cerachrom ceramic bezel insert that is highly scratch-resistant and won't easily corrode or fade over time. 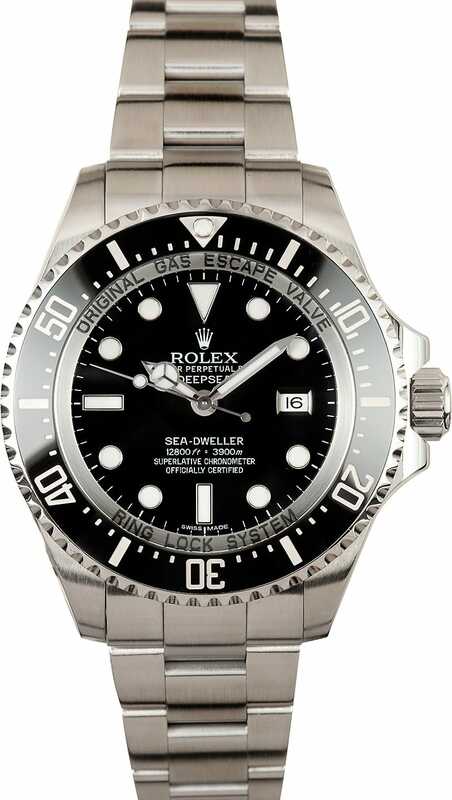 I was able to find the exact watch I was looking to purchase, at a reasonable price. The purchase was simple, and the watch arrived within 24 hours of purchase. The watch was in great condition and I couldn't be happier. 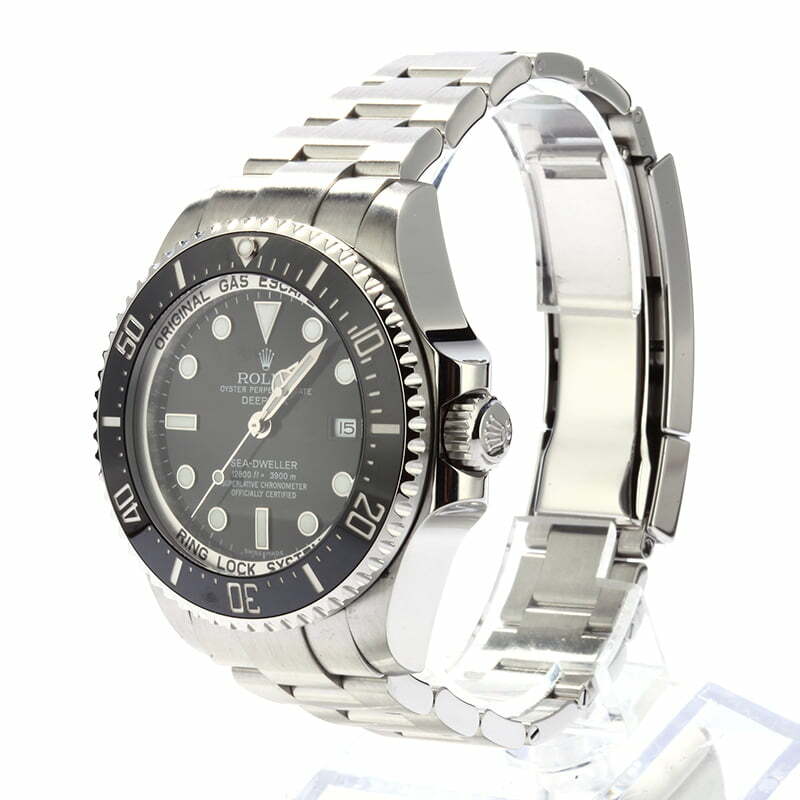 Excellent diving watch! Arrived in mint condition. I am so happy with my purchase. 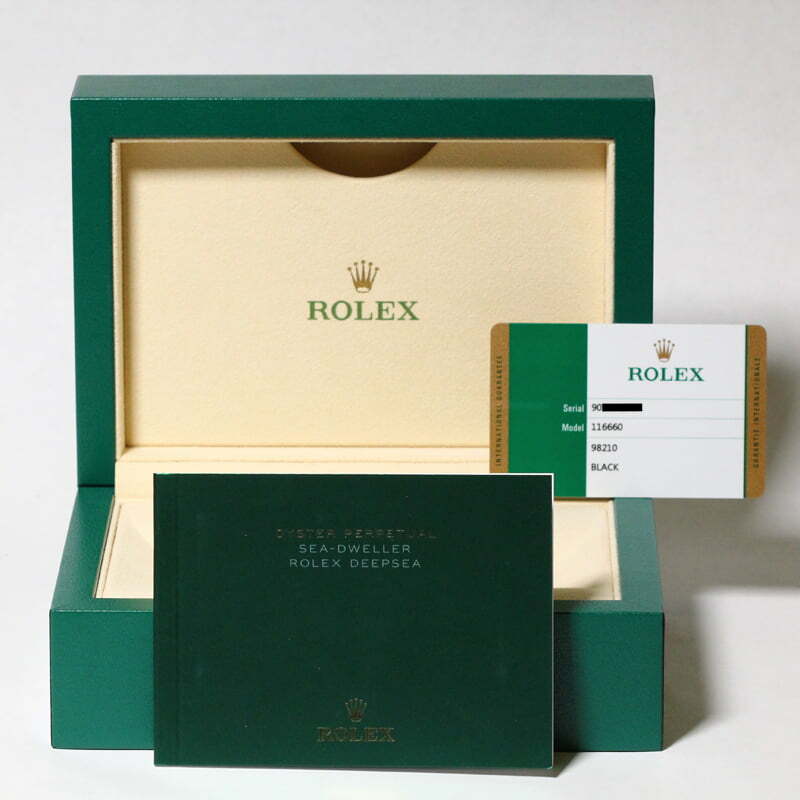 The watch comes professionally packaged and in flawless condition. I am hooked and customer for life!